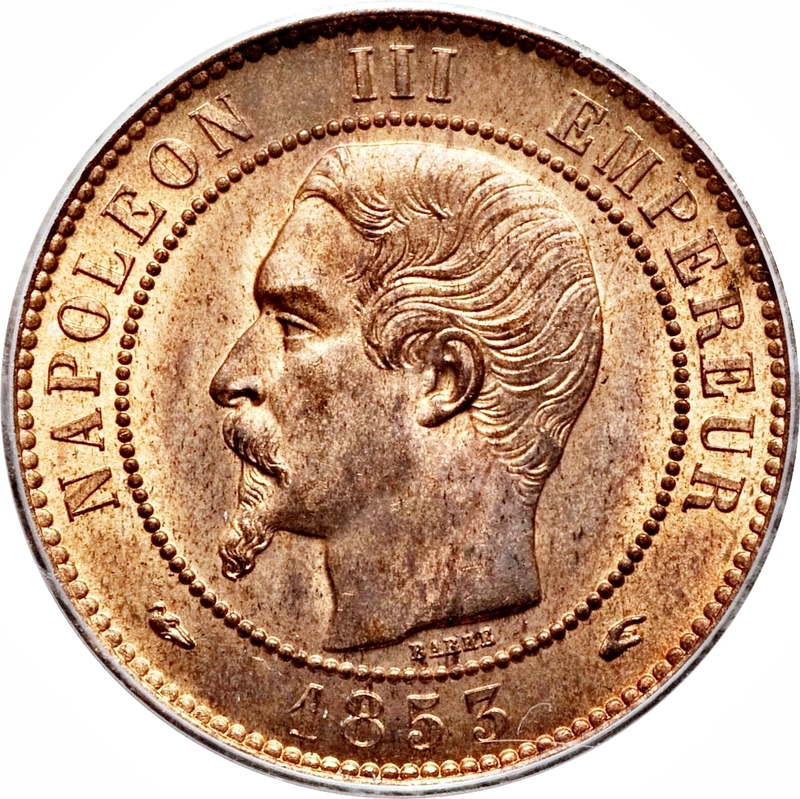 Jean-Jacques Barre was the general engraver at the Monnaie de Paris between 1842 and 1855. 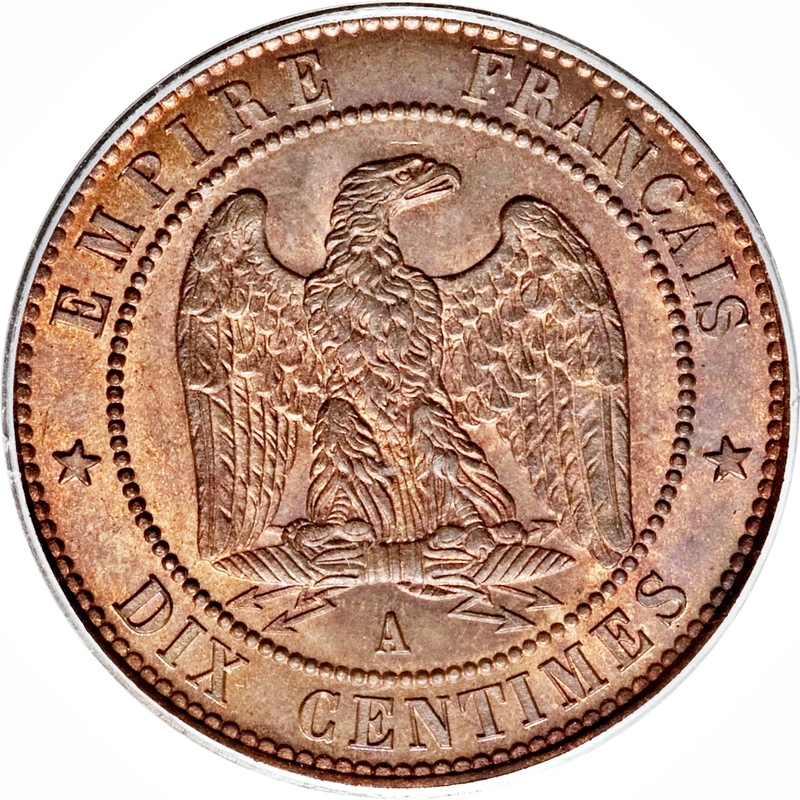 In this position, he engraved and designed French medals, the Great Seal of France, bank notes and postage stamps. His name is sometimes written as Jacques-Jean. 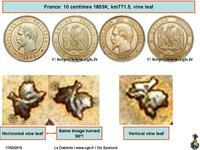 K=Bordeaux mint used privy mark wine leaf for engraver's general. 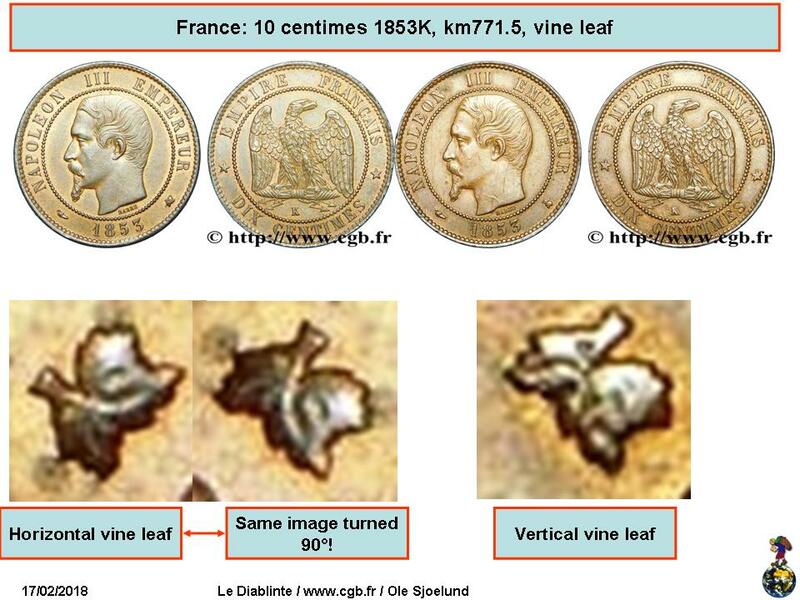 Two orientations of this leaf are known: horizontal and vertical. 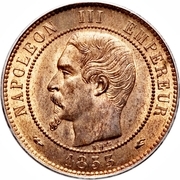 Horizontal orientation is found in all years of issue, vertical one exists in 1853 and 1855. 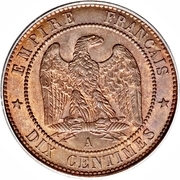 The existence of coin 1853A Eagle privy mark is not confirmed.